I read the manga for this novel long ago before knowing it has a novel. Nagisa Yamada is a junior high school student who lives in the remote countryside town of Tottori. Her father has passed away years ago, and her mother does part-time jobs to support the family. She is a realist, and wants to graduate as soon as possible to live her own life. Mokuzu Umino is a melancholic and very mysterious transfer student. She claims to be a mermaid, come to land on a mission to find a true friend before the storm comes. 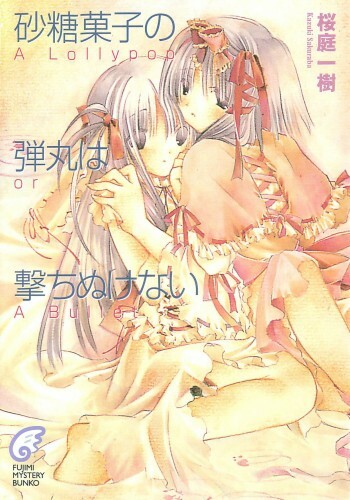 At Tottori, the two girls meet, develop a unique friendship, and do what they can to keep living. The title holds a lot of meaning. Nagisa wants to join JSDF. It's easy way to live there, she just need to finish school and shoot "Live Bullets" over at the near JSDF base. Umino, on the other hand, keep shooting "Sugar Candy Bullets". She keeps lying and lying to protect herself from the harsh reality she's living in. It's definitely dark, cruel story about two helpless kids, and sometimes almost hopeless, vs the world. The novel is rich with a lot of depressing themes like painful bonds among people, growing up, poverty, abuse, bullying, death. Dark, touching, heart-breaking story for those who love such stories like me. This seems really interesting and it is a Mystery too? You got my up-vote. we do not have many Mystery LN in English. Well, I don't remember that the mystery aspect is that powerful, maybe 'cause it was drowned in the other stronger and more memorable themes and emotions. But, it's certainly powerful and great read and really different from most of what we have here. @bloodygaikotsu well for any type of series we need at a few of a type of series to know if they would be good to get for the future. like for dark stories we get some popular ones, test the waters and if it sells really good then Publishers will probably be more willing to get more. No one knows what they want until they get it. Oh I have read this. It is one of my favourite light novels. The manga adaptation is one of the best I have seen too. It is written by the author of Gosick. I actually mentioned it in another thread yesterday. Well, it's not like we don't have any dark novels. Off the top of my head, we have from VIZ's Haikasoru, "All You Need Is Kill" and "Battle Royale". I kinda think that we are discerning between LN and regular Japanese novels market too much. E.g. A Lollypop or A Bullet like Another, The Tatami Galaxy, Monogatari series, and Perfect Blue. They ain't LN but regular novels that are easier to sell to anime community. 1)Satoshi Kon is pretty popular, right? We got every single manga and art book he was involved with. Seven Seas is getting Perfect Blue novels. However, do you know that "Paprika" novel is licensed by Vintage International, Random House (Distributor of Vertical, Dark Horse and Kodansha) line for translating various foreign novels into English. They decided to sell it as the novel, which inspired the anime movie, which influenced the Hollywood-hit, "Inception" instead of the novel, which inspired the popular anime movie, "Paprika". 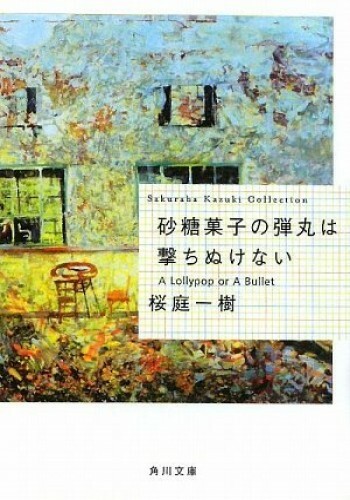 2)Do you know that Japanese mystery novels have been popular for some time now due to the psychological or drama elements that are unique to Japanese mystery novels? Do you know that some of the biggest mystery novelist in Japan have titles that target anime fans? Names like Yukito Ayatsuji (Another author), Honobu Yonezawa (Hyoka Author) can easily sell for both markets. What I am trying to say I find it weird that no one is trying to sell things to both market. I feel like my thoughts got all tangled up in the middle. It is one of my favourite light novels. It is written by the author of Gosick. I know Gosick but haven't watch or read it yet so don't know its author name. It was pretty clear when you said you liked Eiji Mikage lol. I have found that every HakoMari or Eiji Mikage fan I find have very similar taste to mine. Kazuki Sakuraba. One of the few female LN authors I know of.